This is CycloCat: safe cycling net. This is the map of the net that allow you to move between cities by bike in Catalonia. 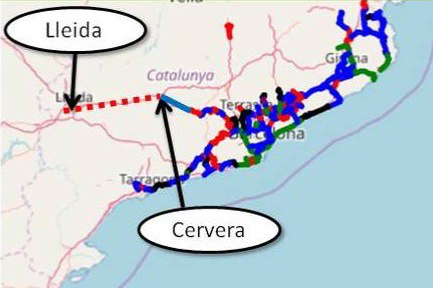 With this tool you can plan your cycling trips through Catalonia using safe, smart and green ways. Our criteria: minimum elevation, maximum safety. Click on the trace to see the name. You’ll find detailed information on the side or lower menu. 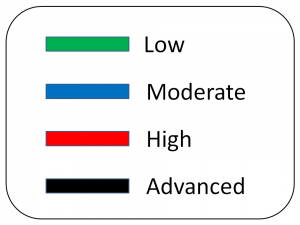 Read at the beginning of each description the information level of the track to know what are you going to find. 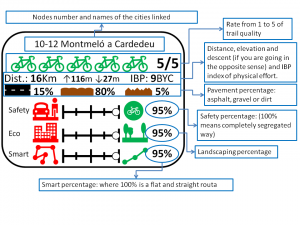 Download the GPX file and navigate with your bycicle on the best paths and roads in Catalonia. No matter if you are a cyclotourist or you are beginning cycling with an electro bike, with CycloCat you can plan better your routes.